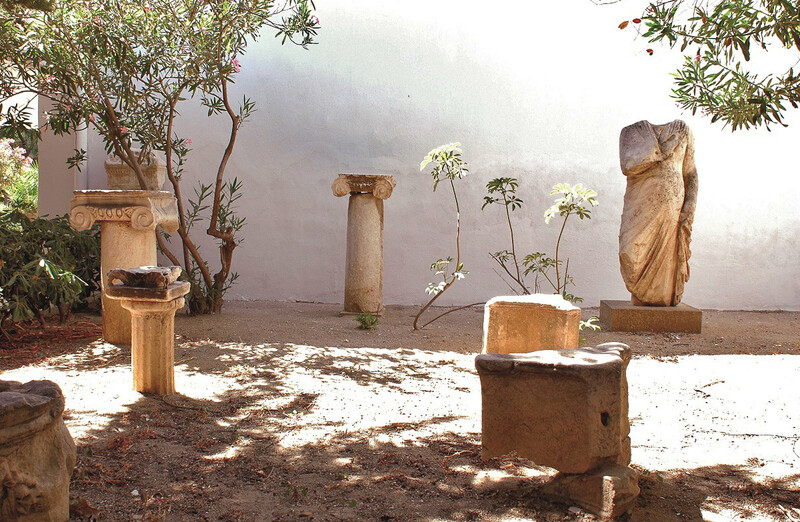 The Archaeological Museum of Mykonos was built in 1902, in order to house the finds from the “Purification Pit” of 426/5 B.C., which was discovered in 1898 on the islet of Rhenia, by D. Stavropoulos.. 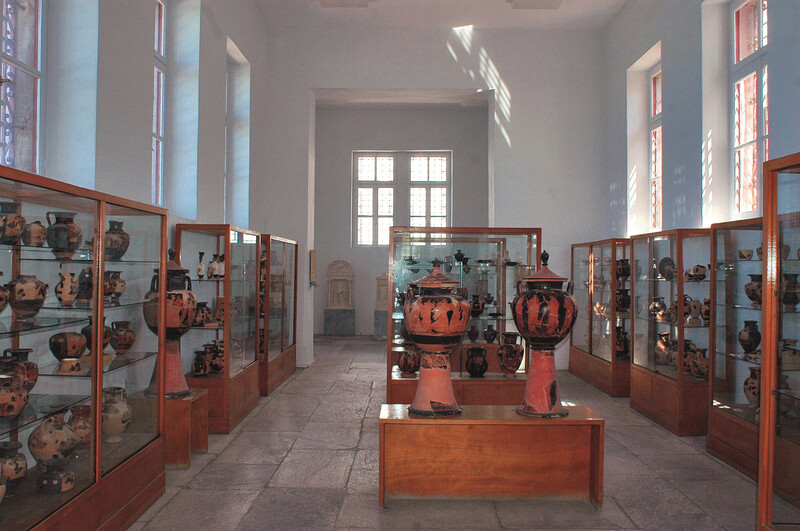 The Archaeological Museum, located alongside the harbor, was built circa 1900, mainly to house finds from the excavation of the “Pit of Purification” (dating from the 5th century B.C.) and the necropolis of Rhenia. 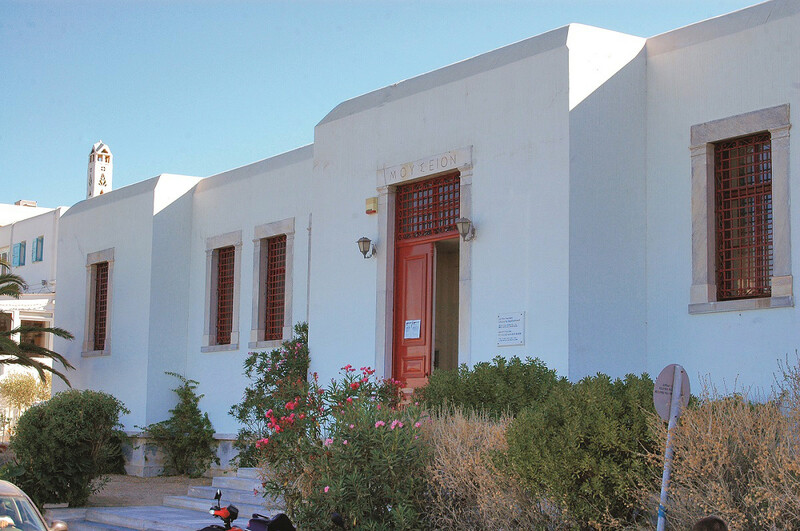 There is a large collection of vessels especially represented of Cycladic ceramics dating from the Geometric period until the 6th cent. B.C. Also on exhibit are wonderful black figure and red figure pottery and diverse finds, including Hellenistic period gravestones and other sculpture. Among the finds from Mykonos, especially impressive is the “Pithos of Mykonos”: a large jar, (made in a workshop on Tinos the 7th cent. B.C.) Richly decorated with bas – relief zones of bas-relief depicting various scenes from the Trojan War (the central composition shows Achaian warriors with the Trojan Horse).